I am pretty excited that our community supported agriculture (CSA) share will start arriving soon. We’ve signed up for a half share, which means we get a massive load of fresh, local organic veggies every two weeks from June through October. I laughed when I saw a recent post on Apartment Therapy with tips about how to prepare for your CSA share, not because I don’t think it’s a clever idea for a post, but because since this is our fourth year with Roots and Shoots, I wish I’d read something similar back in the day. The CSA share does take a little more managing than the average trip to the grocery store, but it’s so worth it! I love our Roots and Shoots shares for many reasons, but one of the biggest is that it pushes us out of our culinary comfort zone. We’ve learned to love kale, kohlrabi, garlic scapes, fennel, brussels sprouts, Hakurei turnips, acorn squash and lots of other previously-intimidating vegetables. Which brings me to the point of my post today. There is one veggie that I know will show up in copious quantities in the share, one that I will almost always try to trade out for another share of kale or radishes or just about anything – one I have decided that I will embrace and learn to love once and for all. Can you help? What the holy heck do I do with Swiss chard? 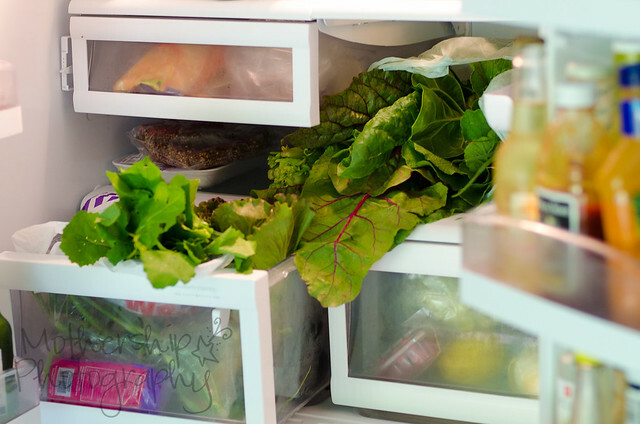 In the blog post from Apartment Therapy I linked above, there’s a passing reference to wilting it down: “Since it’s easier to store a few cups of chard than a few bunches, consider wilting them down as you get them and adding them to dishes as needed.” What does this mean? How do I achieve this space-saving alchemy, how long can I store it after I wilt it, and then what do I do with it? Enlighten me, wise and sage (and marjoram) bloggy peeps – help us learn to love the chard! I love chard. I sauté it with garlic and/or onions. Add some chickpeas for a vegetarian main dish. Indian spices if you like them (mustard seed and cumin seed in hot oil before the garlic or onions. Watch for oil popping.). Probably the suggestion to wilt it down means to sauté it or steam it and then store the cooked chard. I’ve frozen small amounts to throw in soup. I’m not sure how long you could keep it in the fridge. A few days at least. I forgot to say: strip the leaves from the stems, chop the stems, and put them in first since they take longer to cook. We also love the chard. We cut the stems off from the leaves and then fry in butter until tender. Then I add the leaves, a more butter and Parmesan cheese and cook until greens are wilted. Anything you can do with kale, you could probably do with Swiss chard. I’d put it in a smoothie, probably. can’t help you with this one! have never even bough (gasp) kale!! for me it’s beets. I have tried them in all forms and I just can’t learn to love them. I was stumped with chard last year as well and was told to saute it. it was ok, but nothing to hoot about. Throw it in a stir fry. Right at the end, so it doesn’t get mushy. Previous post: Manotick families, support the proposed “pool to school” pathway!